I'm sure you've seen this thing pop up on Ebay before, right? 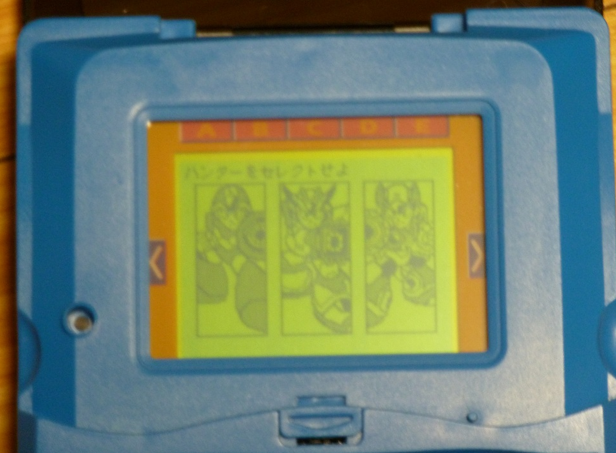 Rockman X3 Buster Battle is one of the more obscure handheld game from the franchise. And that's a good thing. 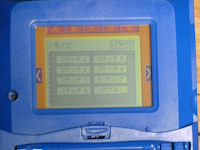 Resembling Vtech Kids hardware than anything else, this LCD-unit let's users design and create their very own Rockman X comics! And if you're devoid of any artistic talent, the device has it's own self-contained RPG to play. The footage above, sent over by Rockman Corner reader MKVarana, provides a good look at the RPG portion in action. All in all, it's a pretty cool device. We've gathered everything there is to know about it after the jump! 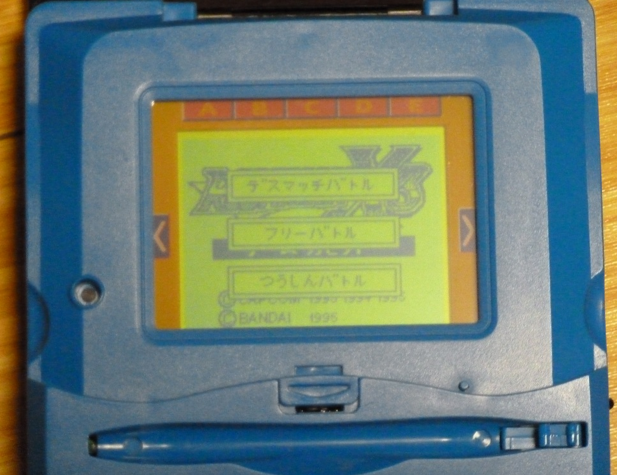 The first one is the game cartridge. You choose between regular X, full-armored X, and Zero, then you insert several parts into them (it doesn't tell you what they do on their own, at least not in-game that I saw). It scans them when you're done and gives your character stats based on them. Then it lets you choose 2 busters. You draw the busters yourself and it scans them to determine their stats (there are buster stamps if you want a base to work with). You can have up to 4 different busters saved. They you get to choose to fight against a boss, such as Vava (Vile). You choose one of four directions to attack (3 attacks) and you essentially hope that the boss moves in the direction you picked. You can also do things like charge your buster for a wider, more powerful shot, and power up your buster to increase it's attack. I haven't spent enough time with the game yet, so there may be more to the battles than I've figured out so far, and there were other game modes I haven't tried yet, too. Plus, I think you can connect 2 of them together to play a versus mode, or something like that. 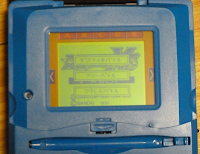 The other cartridge is the manga cartridge. Basically, it has a few blank pages that you draw your own flip-book story of sorts. You can draw it all by hand, or you can use X3 related stamps and backgrounds to make your own little story. You can also make your own 3 X 3 slide puzzle game. Also, you can open the cap on the game cassette and plug the manga cassette into it (I assume this is not limited to just the X3 cassette, so you can pick up other games for this thing and mix them together). 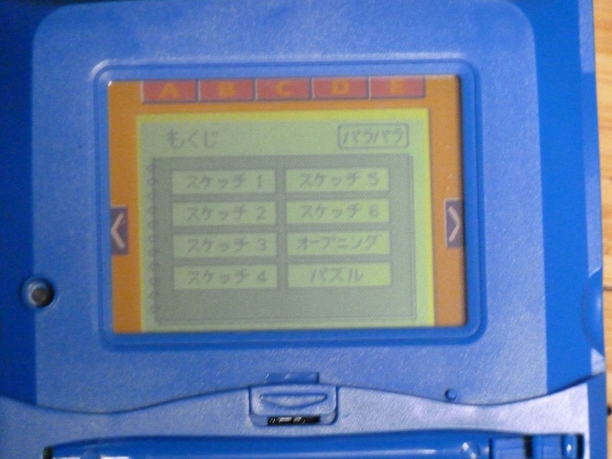 When they are connected, you can access the stamps from the manga cassette for use in the game cassette. I used the stamp for armored X from the manga cassette as my buster, for example, and it's stats were significantly greater than any of the ones I drew...lol." Those sprites in the menu look nice and original. That actually looks like a bit of fun. If it's pretty cool, why is it a "good thing" that it's obscure? @Anon 2: Because the coolest things are obscure! Can you re-upload the Instruction Manual Scans?